Join us for any of the following event to mingle with industry players and find out how you can grow your business in Linux and Open Source platform! Venue 8/F, Amenties Building, City University, Kowloon Tong. 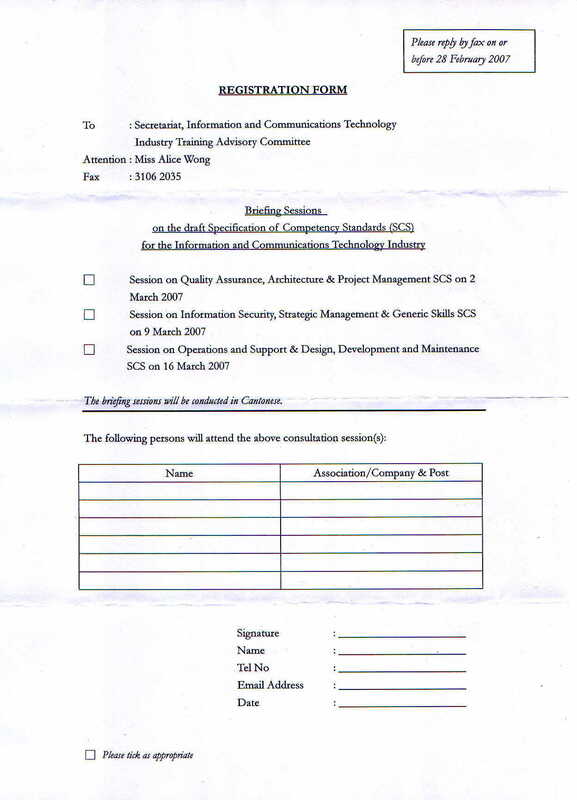 Fee Members are entitle for a complementary seat if reply before 20 December, 2014. Additional seats will be charged $250 per seat. Venue Seminar Room, Hall 3G, Hong Kong Convention and Exhibition Centre, Wan Chai. Miss Amanda Lam, author of 1st Maemo 5 Trad. Chi. lang pack, Maemo 5 app developer. Mr. Ben Lau, vice-chairperson, OAKA, and ARM Inc approved instructor. Mr. Fai Wong, Fedora ambassador, Hong Kong region. Dr. Haggen So, host of Software Freedom Podcast. Mr. Raymond Liu, head of product marketing, Nokia. How Can You Extend Your Business Globally Via Cloud Computing? Venue Conference Room 2, 2/F, HKPC Building, Kowloon Tong. The program plan to extend your business. How to participate? What is the cost and benefit? How to be prepared for the opportunity? Venue Conference Hall, 2/F Lakeside 2, Hong Kong Science Park Phase 2, Shatin, NT. 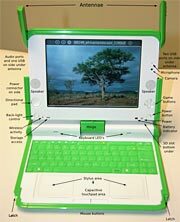 Program A charitable project originated from Professor Nicholas Negroponte of MIT's Media Lab - One Laptop Per Child, Asia Pacific [OLPC APAC] has finally made it here! 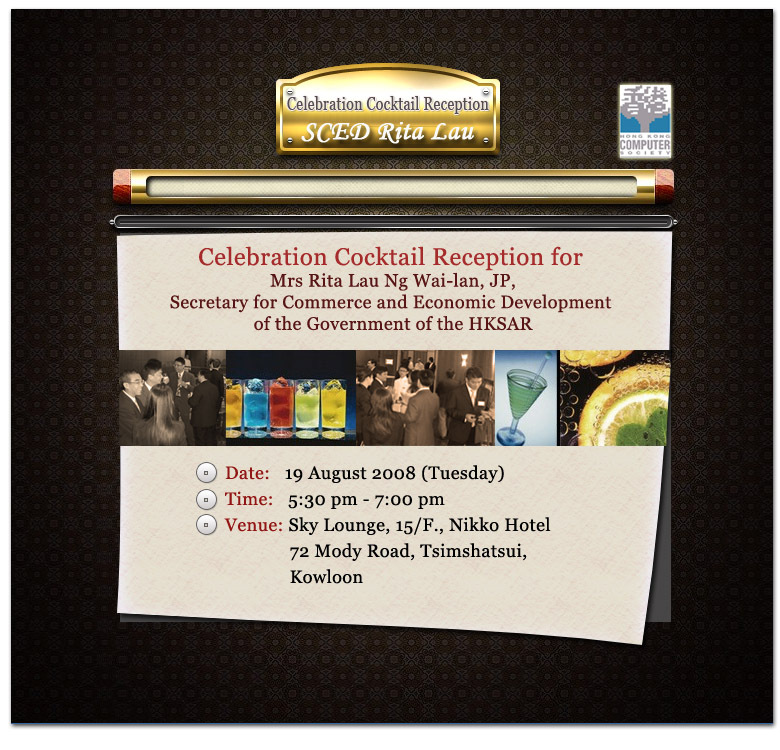 Mr. John Tsang, Financial Secretary of the Hong Kong Special Administrative Region has kindly agreed to attend the occasion as well. Remarks *To entitle student special offer, please send your student identity card copy with registration form or email confirmation notice to Workshop Secretariat. 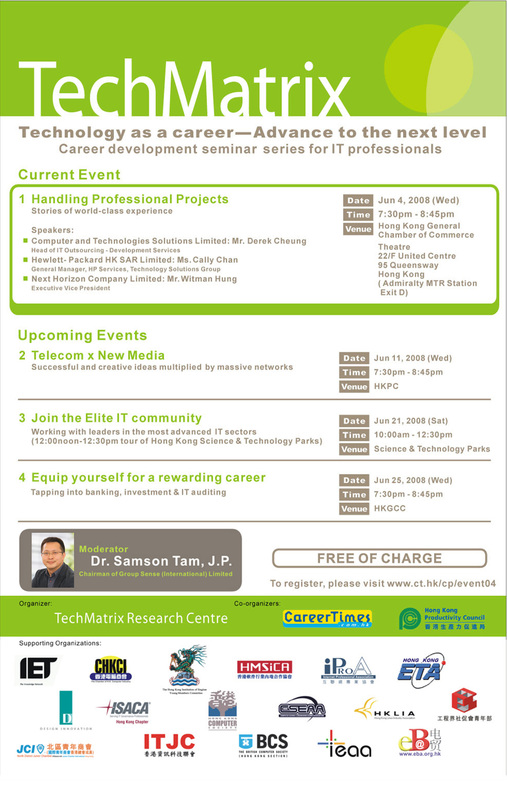 "Equip yourself for a rewarding career"
"Join the Elite IT Community"
IT & HK Discussion Series "Creative IT Entrepreneurship"
Venue Chiang Chen Studio Theatre,The Hong Kong Polytechnic University,Hung Hom , Kowloon ,Hong Kong. Asia Pacific Web Technology Conference aims to connect international industrial leaders and technology experts for fostering the web technology development in the region. Asia Pacific Web Technology Conference features international successful and innovative leaders and companies to present emerging Internet technologies, development strategies and frameworks as well as business models with the focus on the development of Web 2.0 applications. Remarks Who are the Attendees? Venue Lecture Theatre 14, Academic Building, City University of Hong Kong, Kowloon Tong. For detail & arrangement, please click here. 4/F Exhibition Hall, HKPC Building, 78 Tat Chee Avenue, Kowloon Tong. For detail, please click here. Please Mr. O'neal Wong at 2834 2228 for enrollment. This is a great opportunity to show your innovative idea. For detail, please click here. Please Miss Claire Lee at 27885669 for enrollment. Purpose The objective is to provide technical and marketing support to Hong Kong's Independent Software Vendors (ISVs) to port their existing software products to OSS platforms to meet the growing demand for OSS applications in both Hong Kong and the Mainland China. For detail, please click here. Please Fredrick Lee at 27885795 for enrollment. Venue 1/F Exhibition Hall, HKPC Building, 78 Tat Chee Avenue, Kowloon Tong. For detail, please click here. Please Miss Fanny Leung at 27885033 for enrollment. Venue 4/F Exhibition Hall, HKPC Building, 78 Tat Chee Avenue, Kowloon Tong. Venue Hong Kong Exhibition and Convention Centre, Wan Chai, Hong Kong. 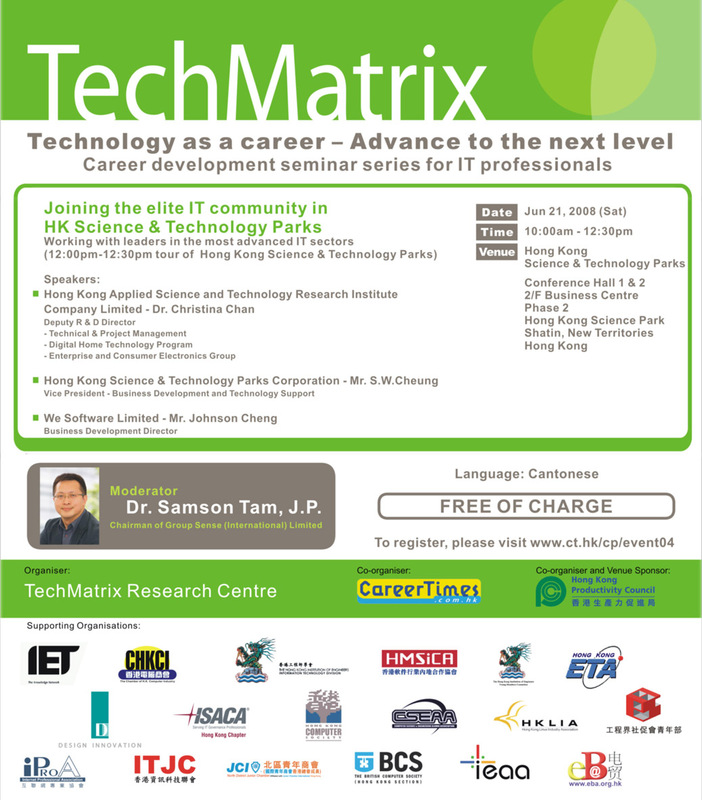 This is a great opportunity to see the latest development of ICT industry. Venue 1/F, HKPC Building, 78 Tat Che Avenue, Kowloon Tong. Middle East is an untapped market for ICT. Hunt for opportunities ! Venue 18/F, Lee Theatre Plaza, 99 Percival Street, Causeway Bay Hong Kong. This is a great opportunity to meet business associates, customers, channels and partners. Don't be missed out and register NOW! Venue 8/F Amenities Building, City University of Hong Kong, Tat Chee Avenue, Kowloon Tong. Venue Room UC 1202 United Centre, 95 Queensway, Central. Venue 14/F, Li Ka Shing Tower, Polytechnic University, Hung Hom, Kowloon. Is Linux OSS a right path to green computing? Venue 4/F, Exhibition Hall, HKPC Building, 78 Tat Chee Avenue, Kowloon Tong. For detail and registration, please click here. Venue Ballroom, Sheraton Hotel, 20 Nathan Road, Kowloon. Venue Exhibition Hall, 4/F, HKPC Building, Tat Chee Avenue, Kowloon Tong. Free of charge. Detail and reservation, please contact Winky at 2788-6085 . Venue Room 406-407, HKConvention and Exhibition Centre, Wai Chai, Hong Kong. Free of charge. Seats are limited. Click here for reservation or contact Wayne Chung at 2240 4560 . Venue SME Centre 2, HKConvention and Exhibition Centre, Wai Chai, Hong Kong. Free of charge. Seats are limited. 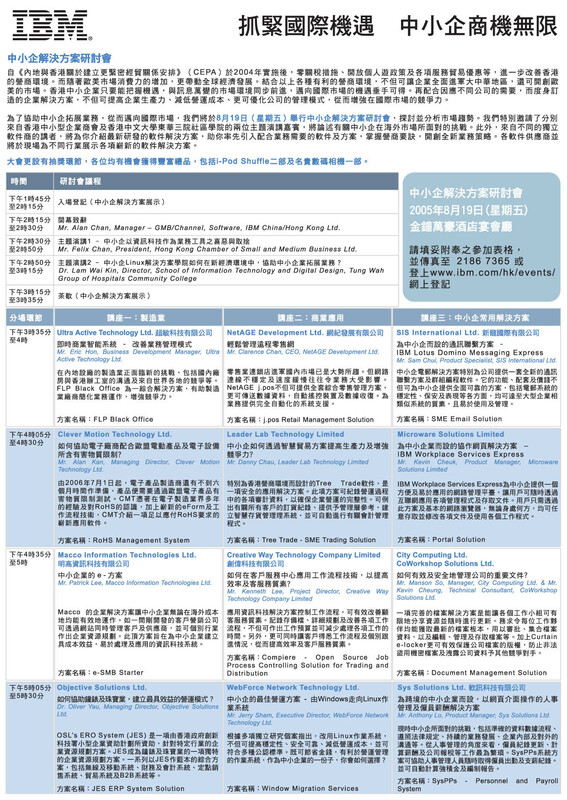 Venue Lecture Theatre, 1/F, HKPC Building, Tat Chee Avenue, Kowloon Tong. 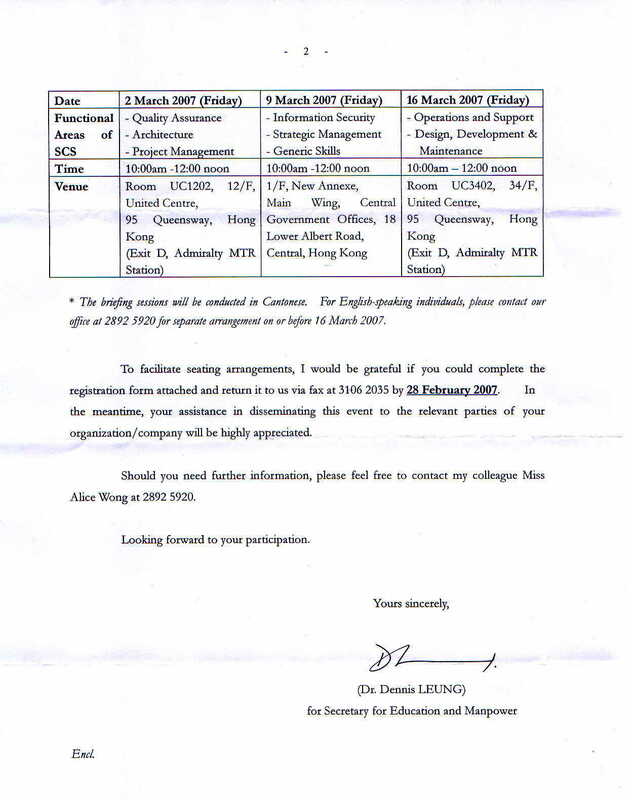 14/F., Li Ka Shing Tower, Polytechnic University, Hung Hom, Kowloon. Reservation by calling Mandy at 2787 0794. Limited seats for valid HKLIA members only. Register by calling Mandy at 2787 0794. Venue Conrad Hotel, Admiralty, Hong Kong. 4:15-5:00 Panel Discussion : RoHS : Is it an end or just the beginning ? Paul Yao, President Asia, Intertek Testing Services HK Ltd.
Dr. Kei Biu Chan, Chairman and MD, Surface Mount Technology (Holdings) Limited. Venue Room 203, Kowloon Technical School, 332 Cheung Sha Wan Road, Kowloon. Linux Pavilion Standard 3 x 3 metre in Hall 1 prime area is available for HKLIA members by first come first serve. Limited free day tickets for valid HKLIA members only. Register by calling Mandy at 2787 0794. Venue Club House of Hong Lok Gardens, Tai Po. NT. 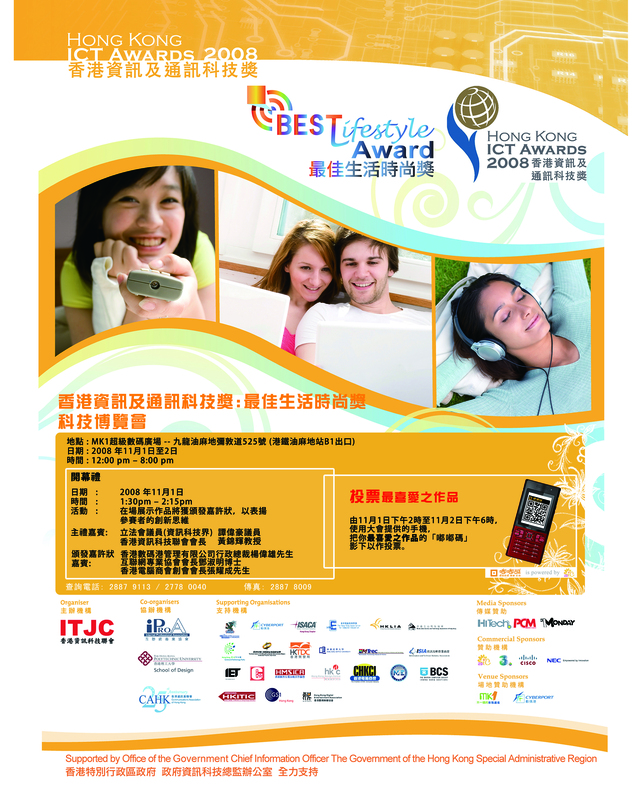 Venue 5/F, HKPC Building 78 Tat Chee Avenue, Kowloon Tong, Kowloon. Venue New Wing, Hong Kong Convention and Exhibition Centre, Wan Chai, Hong Kong. Venue 4/F, HKPC Building 78 Tat Chee Avenue, Kowloon Tong, Kowloon. Venue 3/F, YMCA, Salisbury Road, Tsim Sha Tsui, Kowloon. 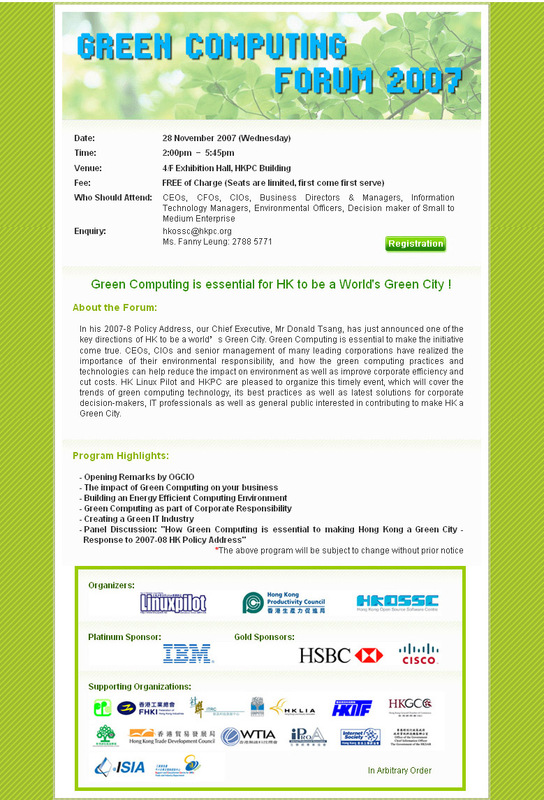 Come and see the world class Linux products from Hong Kong. Meet the inventors and share their success stories. For detail agenda please click here. Venue Ballroom C, 3/F, Sheraton Hong Kong Hotel, 20 Nathan Road, Tsim Sha Tsui. Guangzhou Linux Test Centre and Zhongshan University. 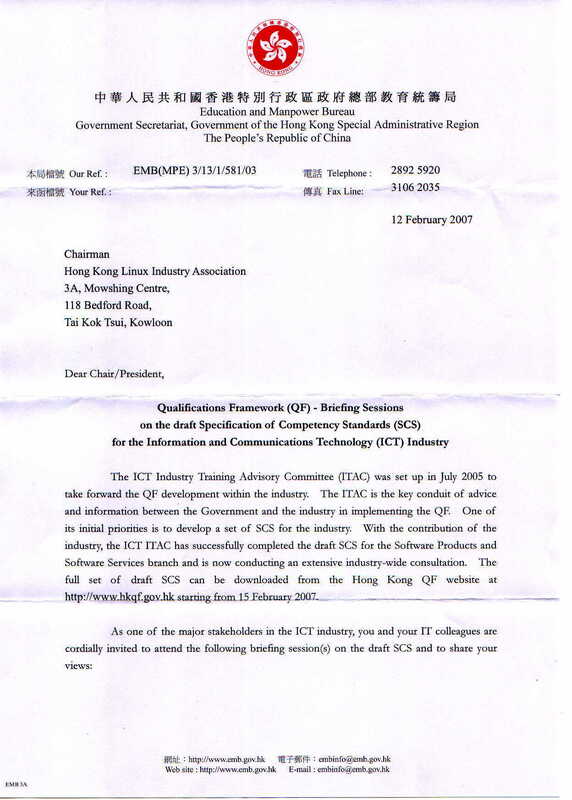 The International ICT Expo has an impressive pedigree, building on the achievements of the Hong Kong Information Infrastructure Expo & Conference (II Expo). 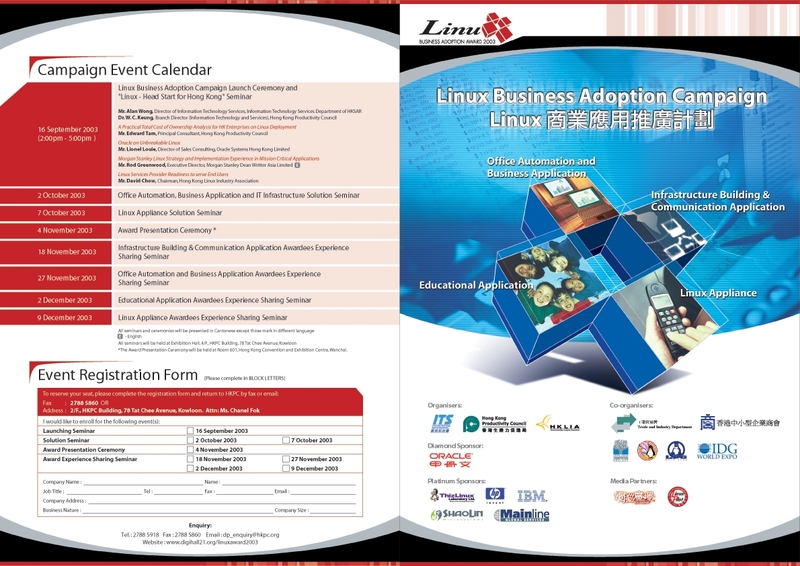 Being one of the supporting organization, HKLIA will have a booth in the Linux Theme Zone. ALL Members and friends are welcome. 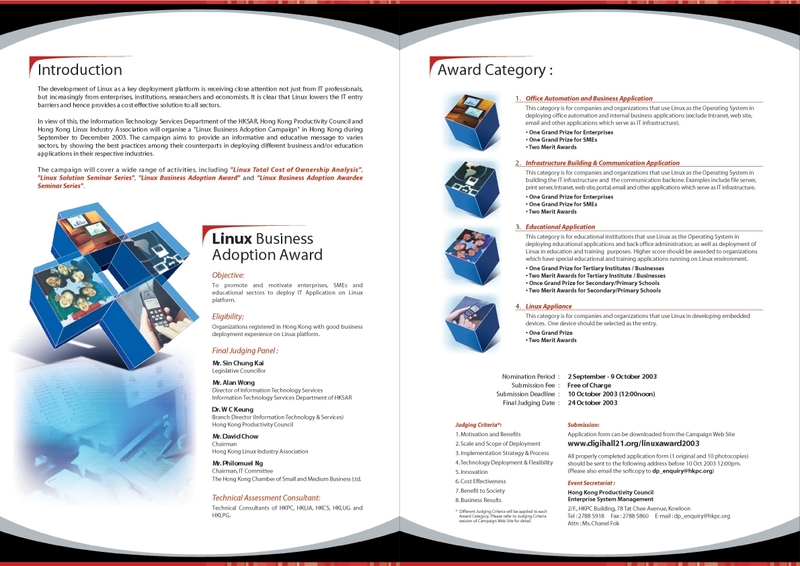 Objective To promote and motivate enterprises, SMEs and educational sectors to deploy IT Application on Linux platform. Eligibility Organizations registered in Hong Kong with good business deployment experience on Linux platform. 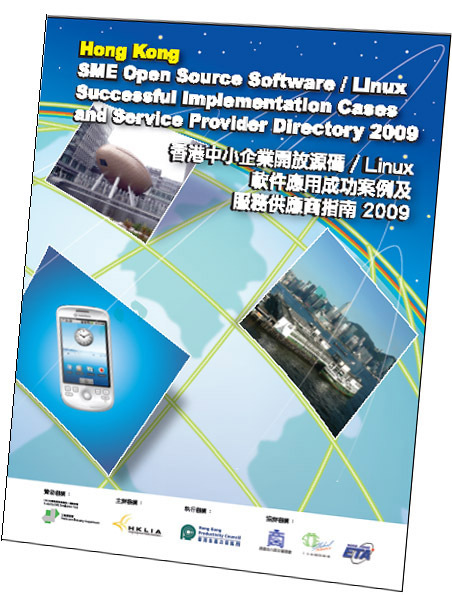 The Hong Kong Chamber of Small and Medium Business Ltd.
HKLIA will have a show case in Linux World Conference & Expo HK 2003. We have limited guest tickets available on first-come-first-serve for HKLIA members and friends.